Images by Anjali Bhargava. BTW, How freaking insane are these pictures? I love them Anjali!! Sometimes the tiniest of creative ideas make me feel like I am right up there next to Einstein in the genius category. Not below him, not above him, right next to him. Im not too greedy that way…hehe.. So yeah about my brilliant idea, I have a pair of earrings a friend gifted to me for my birthday last year, forgetting a minute detail that I don’t have my ears pierced and hence I don’t wear earrings..hehe. But they are gorgeous earrings and I love them. So I decided to wear them differently. One as a broach on my turban coz broach on the outfit is too normal. 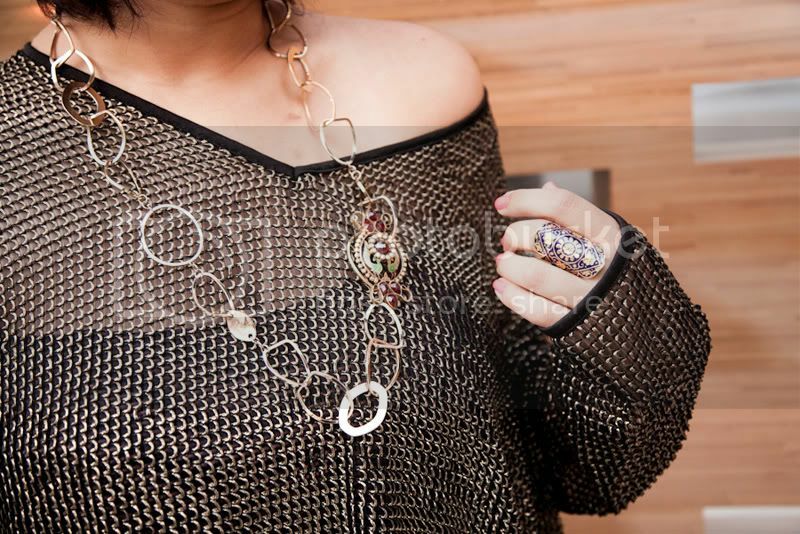 And I stuck the other one onto my chain necklace to make it an asymmetrical necklace… hurray!! Now you agree I’m a genius? You have to… u must!! Ok moving on to the rest of the outfit, I found this crazy mesh thing at H&M and had to have it ofcourse. I wore it this whole weekend at the beach over my bathing suit and I think I could see the entire jersey mom community’s eyeballs popping out. Made be laugh. FYI, this was my first decent weekend getaway in ages!! Have been working soo much and soo hard, I needed this. Feeling totally zen right now!! Kisses to everyone!! Hope you guys had a brilliant weekend too. 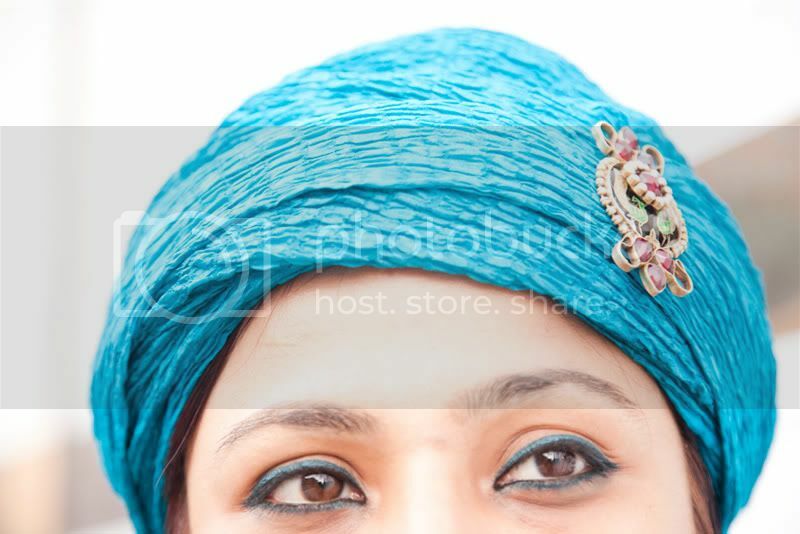 hey I love the turban, and the blue..very well put together! JOkes apart the head-dress with the broach is too cool..And Oohlaalaa that mesh dress makes you look like a Sultan totally..The Sultan of Fashion eh! :D Loved this post.. It's amazing outfit u really show ur creativity here! OMG! LOVE that tunic!It's amazing! nice outfit and lovely pics! Love it! You look hot!!! I absolutely love your creative boldness ! hehehe... I hear you! I can imagine the look and the whispers! + Thank you for your comment I will be back soon! hey prutha!...love de luk!........specially dat meshy thing......creativity used in de rite FASHION!.....keep um coming sweet heart.....tc! You are indeed a genius... love what you did to the earrings. YOU are the gypsy version of Grey Garden's little Edie, and I mean that as the biggest form of compliment. 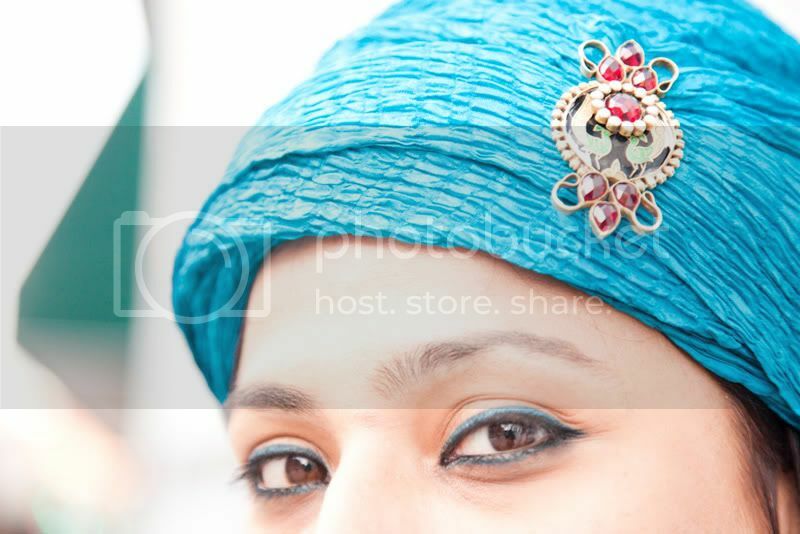 LOVE the color, love the turban and the broach that adorns it. The sapphire colored kohl eyeliner too makes major style impact. GREAT look. Take a peek! our first blog. OMG I love this. That mesh tunic is beautiful. H&M can do no wrong. 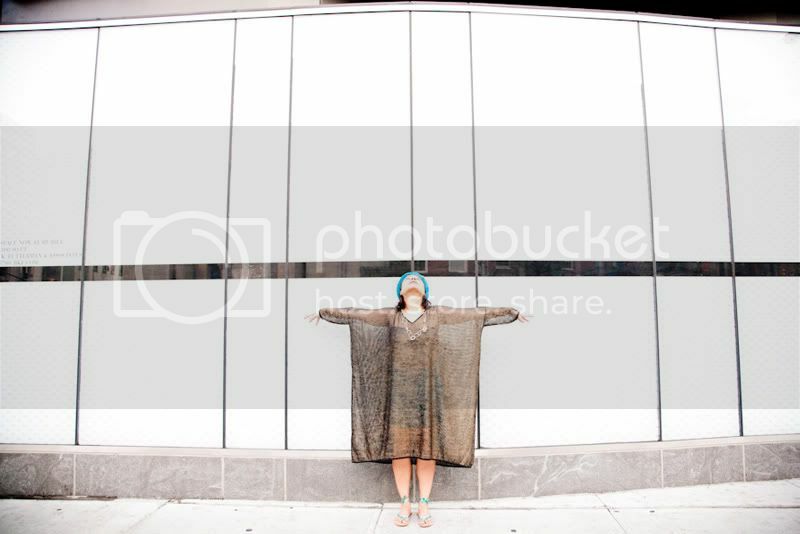 Wow that tunic is a great find. play as per ur wish on my blog..
Liking your eyeliner! Such a great idea to utilize earrings. I too don't have pierced ears, and it always seems so tragic to be left out from enjoying gorgeous earrings! 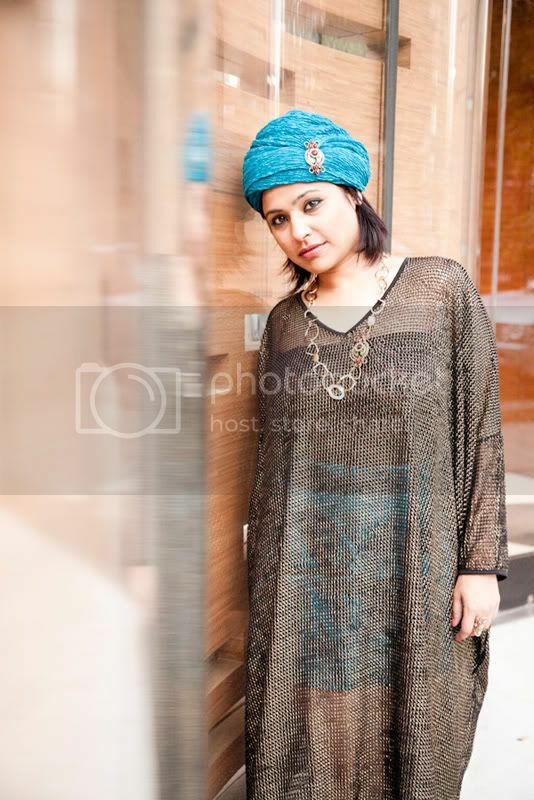 Love all the color combination and I was just about to ask where did you get your mesh tunic, it's gorgeous I mean all your outfit makes it perfect... it compliment each other from your turquoise turban with the jewellry, your expressive eyes down to your nails. A sure ten points personality! Love the outfit!!! Your photos are amazing - they look like they should be on the cover of Vogue!!! I adore the colourful head-dress - so ethnic and regal. Your makeup is so striking, too. I'm in love with that turban <33 Its color is amazing! You have a great blog! Great pictures, Prutha. The turban is cool! Wow this is one of the coolest outfits I have ever seen!! You look beautiful in these awesome photos. They seem professional! That blue turban is wicked fab and I love the shade of it. 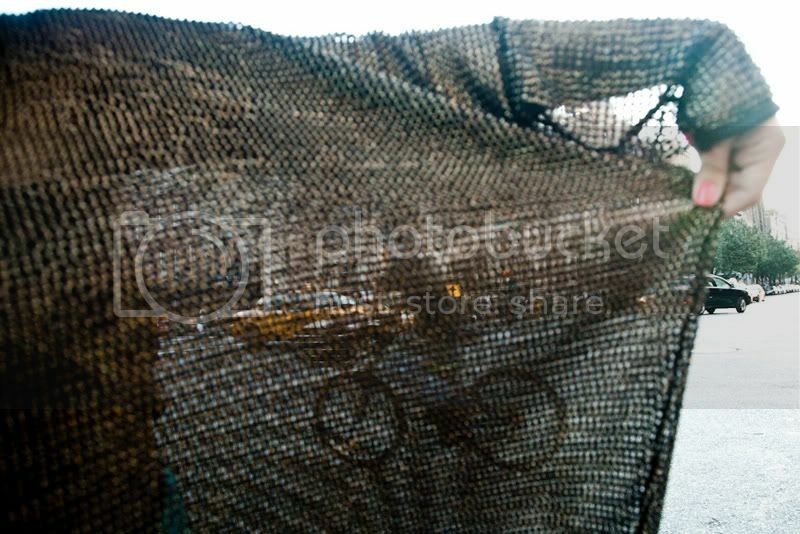 Plus, this mesh thing you're wearing would seriously make me look like a sack of potatoes but you wear it beautifully. Hehe. you got great style i'm following you!!!! I love this blog! just landed here and I love it!! !...that turban/brooch/earring is so chic. love your strappy sandals too! I'm so following you!! You totally have me at wearing the mesh thingee as a swimsuit coverup! Totally with you! You totally score, Prutha! You have such a perfect face and perfect eyes! 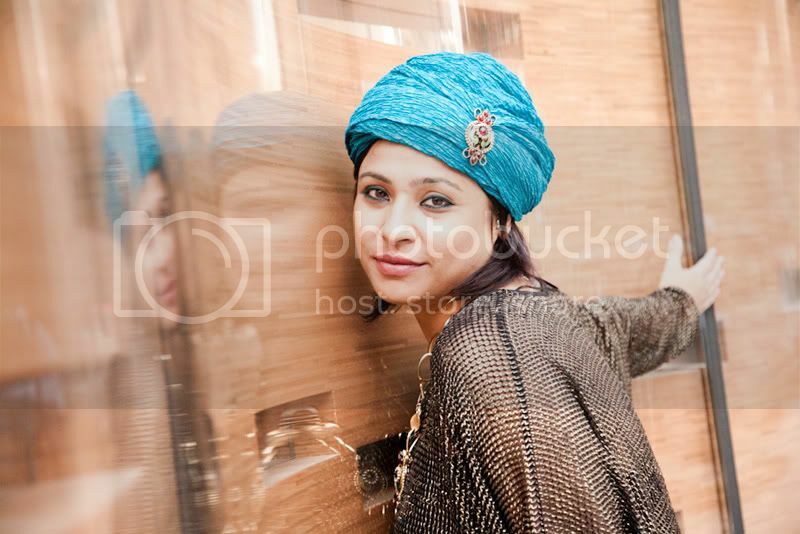 Love the turban! Very interesting, traditional look. Always a pleasure to visit your blog. Are we Human or are we Dancers?